The reason why a chicken should never cross the road. Well the trip was great and thankfully the forecasters were mostly wrong. We (Sadiya, her sister and I) started from the Rockies which were ...well big....very humbling, pretty and somewhat hidden behind the massive clouds and fog. The 2500km drive was...educational to say the least...the altitude, the racing game style bends in the road, the rain, the clogged ears, the trucks, the passing of trucks at 120kmh all made driving exciting. On the way, we must have seen a hundred waterfalls of various proportions, half a dozen glaciers, few dozen lakes and rivers of many colours, a million trees, a dozen deer and elks, a few threatening looking mountain goats, one eagle and zero bears. -Revelstroke: a cute city, where we had bland seafood pasta with great garlic bread. We got woken up with gun shots at night(sadiya ready to fling the lamp)... which turned out to be exploding batteries in my charger. They kept exploding for the rest of the night too even after we threw them out the door. 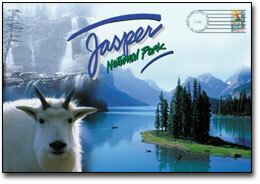 -Jasper, at a run down hostel comprising of 36 bunk beds in one room and zero entertainment in the so called 'city'. We resorted to playing scrabble and bollywood style dancing in the forest to keep ourselves entertained for two whole days. -Lake Louise had a beautiful hostel though. The best food we had in all of Alberta was at the resturant owned by the hostel. spicy baked salmon-yum! -Finally back to rainy Vancouver where we stayed two nights at the worst hostel- it had rats. Thankfully we moved to a good hotel with the essentials(a coffee machine in the room, hair dryer and TV) after two days. Yes, as it turns out I'm not THAT outdoorsy. 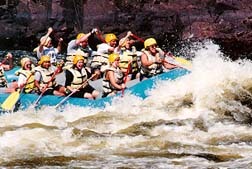 Best activity was the white water rafting in Jasper! Just too much fun. The 1hour hike of Tunnel Mountain in Banff was exhilirating as well. I could almost touch the peaks I was that high. Looking forward to trying both of those again soon. Whale watching in Victoria island should hv been our high point, but the rain combined with a full bladder from the having jugs full of water with the 'hottest and best Thai food in the planet'(Siam, 512 Fort St, Victoria) for lunch made the 3 hour trip quite painful. We also had to stop to 'help' these IDIOTS who were out fishing on the sea with no gas in their boat, thus stretching our trip to 4 hours. We did see fourty five killer whales playing all around our Zodiac raft though! Then we had one sunny day in Vancouver when we took a trip to Granville island- a treat with all the artsy galleries/workshops of glass, housewares and unique jewellary which just made me realize how badly I need to get rich to afford it all. Best thing about Vancouver had to be the sushi! IT WAS TO DIE FOR and DEAD CHEAP. I was in sushi heaven. *sigh*. Pictures would be added to the 'Travel pictures' as they get loaded and oriented. Heads up people! Putting carpets on walls are all the rages now. My elevator has the 'jute' variety, perfect for rendering that 'pleasantly romantic' setting for sharing with that cute European guy from the fifth floor. For those needing further proof that makers-of-cat-toys-are-stupid, they have started selling 'Glow in the Dark Balls' for cats at Walmart. This blogger did not see any signs that this toy is for near-sighted cats only . Oh well. Maybe its more for the 'owners' of cats. In the continuing saga of 'Bengali men behaving badly' in public- now they, balding and beer-bellied, have stooped to preventing Bengali girls they just met at a party from eating chocolate cake because she might gain weight. The women-related self-esteem issues they are facing since moving to the west has been alarming to some. We'll keep you posted on updates. Finally, last year it was the East. Tomrorow its to the West ! 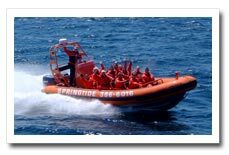 While the rest of you voyeurs stock up on Two-Fours for the Victoria-Day long weekend, this blogger will be off whale watching while riding something called a Zodiac , followed by having 'High tea at the Empress' in Victoria. That is, if we survive doing this in 'mostly-frozen- waters' of a river in Jasper. With rain and freezing temperatures predicted for the coming weeks, we are counting on the forecasters of the West to be just like the ones in the East- i.e. dead wrong. ....this blog will lie dormant till the 25th. Adios and thanks for all the .....erm....reading. 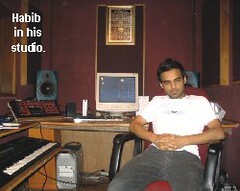 Habib, the Bangladeshi composer from UK. I was slaving his music for close to a year, ever since hearing the song 'Dil ki doya' and then 'Krishno Aila'. Finally managed to track down a picture of him. All grown up now. aww. erm...I'm quite short eh? Well they are very tall for Bengali guys! Thanks Adnan for the picture. May 1st 2003, Bush declared end of 'Operation freedom' for Iraq since the invation of March 19th. Now after a three year anniversary, May 2005 has seen insurgant attacks increased to 70/A DAY, in Iraq. A wave of bombs and gun attacks in the past two weeks alone has killed more than 400 people there. The U.S. military for its part says as many as 100 insurgents have been killed in the offensive this month. Any futher comment is futile. Children of the 80s, you might already know this but, we were seriously duped back then eh? Shows like ‘Jetsons’, ‘Space Odyssey’ had us believe we’d be living in a different world five years into the millennium- Living in sky high towers with private elevators, owning household robots, food in pill form, clothes that come out of the closet already ironed, going shopping in flying cars etc. Where are they huh? Scratch the first and third ones- got those already. I’m even willing to let the flying car thing go. Rear-end collisions are bad enough to rule out acceptance of top-down ones. But clothes that come out ironed! That is essential man. Knowing how EVERYONE hates ironing, I’d really really thought we would have had something similar by now. Dryers that also iron and fold perhaps! But have the people-responsible-for-inventing-what-you-might-want-in-the-future-but-not-be-able-to-afford-right-now given it any serious consideration? Nope. Surely they must face situations similar to mine. Or not. They might be all geeky physics guys who don’t see wrinkles or have wife shaped eyes- so don't care. grr. Anyway, bottom line- I am expecting guest in two hours and all my sheets are wrinkled into something resembling a bean bag. If you have never tried ironing the covers with the comforter (blanket) still in it…… I suggest you just go out and buy new sheets. Well it was no LOTR, but it wasn't 'Prisoner of Azkaban' either. The much anticipated 'HitchHiker's Guide to the Galaxy', was O-kay. eg. The fly-swatter at Volgosphere that erupts out of the ground and hits you in the face for 'thinking'. The 'cartoons' were better than the BBC version. Marvin was saved from ruin by Alec Rickman. The campy score was a fun touch. But, the extremly sappy ending was puzzling....I was left waiting for the punch line- the happy couple hitting each other over the head with a dolphin. Typical hollywood ending- get a girl each for the two White guys and leave the very very hot *drools* Black guy with a towel. Yell with me, "Death to Acid-throwers!" and it'll come true, thanks to revised laws in Bangladesh, proof that somewhere someone is being heard and someone is thinking twice before purchasing, the readily available, acid to throw at a 13 year old girl. "Throwing acid is now punishable by death in Bangladesh. Acid-throwing cases are now heard in Bangladesh by special fast-track courts empowered to pass the death penalty. This has helped to shorten the trial period significantly, campaigners say. The Acid Survivors' Foundation (ASF) says there were 322 cases recorded in 2004. More than 180 were against women, and 76 against those under 18. That is down from 485 cases in 2002. " 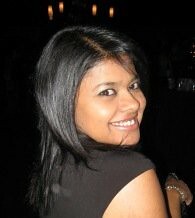 More on the story(first noted by Rezwan) and link to the Acid Survivor's Foundation in Dhaka. Its only sad that it had to take so long and so much international pressure for the lawmakers/governments to finally take notice of the plights of the victims of this most horrible act of violance. The Romantics: An elderly woman wearing dark glasses sits across from her husband on the train. They held hands for the whole 30 minute ride. Stories in transit or just life?